At CES last year, Sennheiser showed off its first 3D audio product, the Ambeo VR Mic. 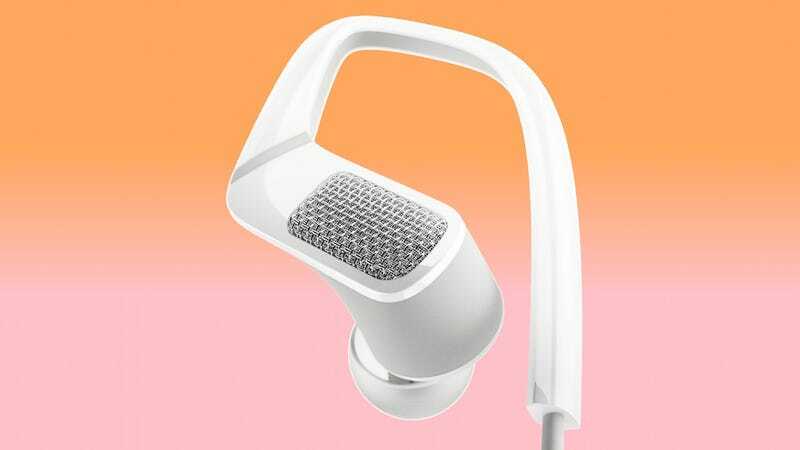 This year, the company is bringing that 3D audio tech to consumers by way of the Ambeo Smart Surround, a pair of earphones that let you listen to and record 3D sound. To achieve realistic 3D recreations, Sennheiser uses the century-old audio technique, known as binaural audio, which is captured from microphones on the earhook of each bud. Using two mics spaced the way your ears are helps replicate the way each ear actually hears sound. The combined audio channels produce, in theory anyway, a more immersive listening experience. Binaural audio has come into vogue again, thanks to the rise of consumer VR devices like the Oculus Rift and the HTC Vive. In fact, experts have discussed how having the right audio mix is just as crucial to the VR experience as anything you see visually. Over the past year, we’ve seen a slew of consumer solutions for creating VR content on the video side—360 video cameras are incredibly common and affordable—but we haven’t seen that same push towards capturing VR audio. That’s what makes the Ambeo Smart Surround earphones unique. This tech is aimed at consumer content creators, not at pros. The earhooks have high quality microphones on them. Using an app on your smartphone, you can capture audio from those microphones. The software is able to capture audio from each microphone with the correct timing, so that when it’s played back, it feels like you’re in a 3D world, rather than simply listening in stereo or mono. Once you’ve recorded audio, anyone with standard stereo headphones can take advantage of the audio recorded. The earphones will connect to your smartphone using USB-C or Lightning because they need a digital connection to accurately capture the audio. Ambeo Smart Surround buds will be available the second half of 2017, though there’s no word on price right now. Sennheiser has them on display at CES, so we plan on taking a look.